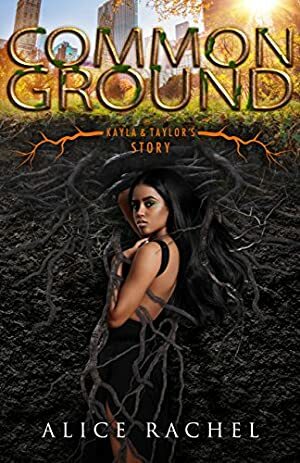 COMMON GROUND is a Prequel that can be read before the rest of the series. When Taylor Jones moved into the neighborhood, he didn't expect to fall for the feisty girl next door. His life was already complicated enough as it was. Between his difficult relationship with his father and his sister's wedding lurking on the horizon, Taylor had a lot on his mind. But his attraction to Kayla wasn't something he could resist, no matter the consequences. Log In to track Alice Rachel on eReaderIQ. to be notified each time the price drops on any book by Alice Rachel. to stop tracking Alice Rachel. We started tracking this book on April 19, 2018. The price of this book has changed 6 times in the past 367 days. The current price of this book is $2.99 last checked 3 months ago. The lowest price to date was FREE last reached on June 20, 2018. The highest price to date was $3.89 last reached on November 1, 2018. This book has been $3.89 one time since we started tracking it. We last verified the price of this book about 3 months ago. At that time, the price was $2.99. This price is subject to change. The price displayed on the Amazon.ca website at the time of purchase is the price you will pay for this book. Please confirm the price before making any purchases.